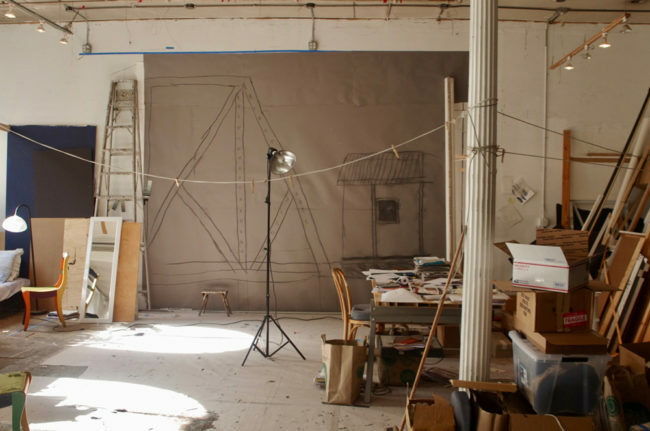 View of Donna Dennis' studio, 2019. Photo by: John Silvis. Last fall, at a public hearing for the Landmarks Preservation Commission, the owner of the cast iron building at 131-135 Duane Street in Manhattan presented plans for a two-story rooftop addition. The façade of the landmarked building can’t be altered, but the renovation plans presented by the landlord called for the removal of the entire interior. “You have to be able to stand in the cellar and see the sky,” sculptor Donna Dennis, NA, who has lived in the building since 1973, told me. This is the legal definition of demolition that a landlord in New York may use to evict a rent-stabilized tenant like her.